Electric car startup Fisker Automotive has been in a deep freeze throughout 2013 as it figures out what to do with its assets and loan commitments. But now the Department of Energy is finally trying to make a move on its part of the story. On Tuesday night, the DOE wrote in a blog post that it is looking to auction off the remainder of Fisker’s loan obligation (it disbursed $192 million to Fisker). The DOE made the decision to open it up for auction after it says it exhausted “any realistic possibility for a sale that might have protected our entire investment.” The DOE initially committed to give Fisker $528 million through its Advanced Technology Vehicle Manufacturing progam, but then the company failed to meet its milestones for shipping its first car the Karma to customers, so stopped giving Fisker money after $192 million. Since then, Fisker has been hit by a series of unfortunate events. The kicker to the DOE’s deal is that to win the bid, a group has to show a business plan that promotes domestic manufacturing capabilities and engineering in the U.S. What I was hearing was that various potential buyers want to buy out the loan and do manufacturing in China, so that U.S. manufacturing piece could end up being a sticking point. On the other hand, Tesla used its DOE loan to make its cars in Fremont, Calif. According to a report earlier this year, Fisker was being valued at $20 million via a group of investors that included former General Motors exec Bob Lutz and Chinese auto tech company Wanxiang. If true, $20 million is less than one percent of its reported $2.2 billion valuation back when it launched the Karma in the late summer of 2011. The initial bids for the Fisker loan obligation are due October 7th. Where is your article about Tesla Model-S fire? Tesla did the same and still they have a market cap is $20B … this is less than 500M & Fisker is ahead of where Tesla was when it went public…it also has battery + gas engine if you run out of battery (just in case). Whoever buys this loan will make $2-5B when they take it public. The cars are beautiful & the next one is smaller and less expensive one (Atlantic). Time to STOP feeding the gas companies. Let’s get the world to a greener place. Hate to bust your bubble, but the “next Fisker” is an oxymoron. Read the reviews on the Karma. Fisker is a bad car company that made bad cars. 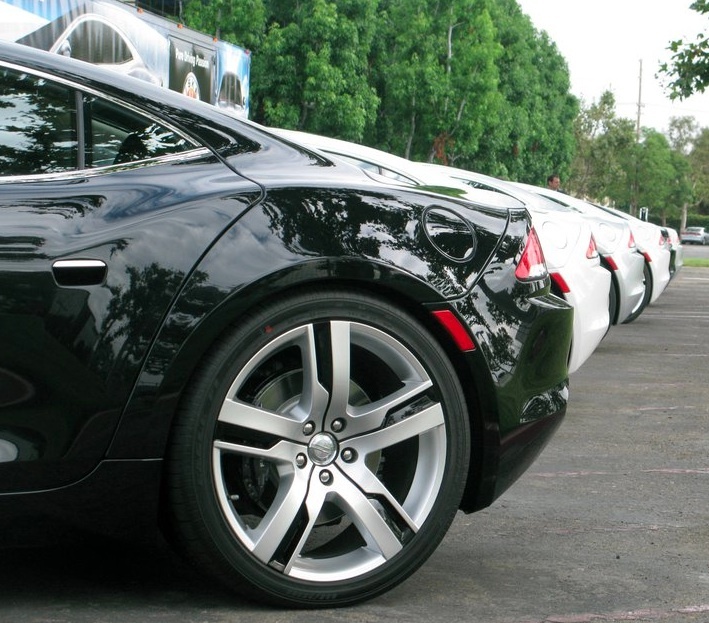 No one buying Fisker will be reviving the brand – they’ll be liquidating assets. They can’t even sell the cars for 1/3 of the original asking price. Game over Fisker.